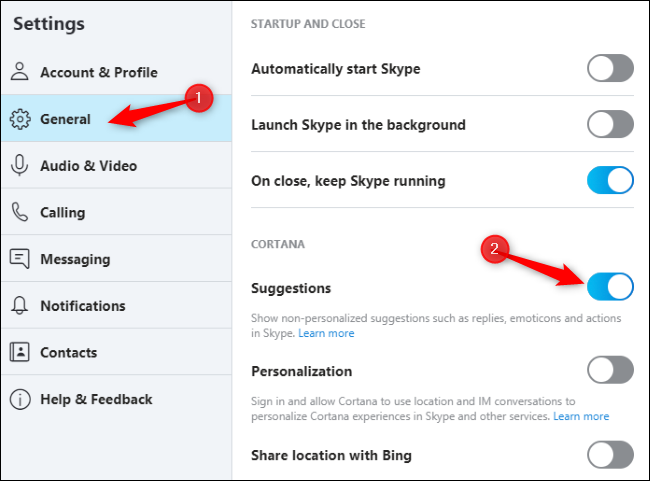 The latest versions of Skype include suggested responses from Cortana. These are automatically generated replies to common types of messages, which you can send with a single click or tap. They’re similar to smart replies in Gmail. If you’d like to disable these suggested responses, click Menu > Settings in Skype for Windows, Mac, or Linux. Click the “General” category in the left pane. Under Cortana, disable the “Suggestions” feature. You can now close the Settings screen. The Skype app for iPhone and Android works pretty much the same. In the Skype app, tap your profile icon and then tap the gear icon to open the Settings screen. Tap the “General” option and then disable the “Suggestions” feature under Cortana. 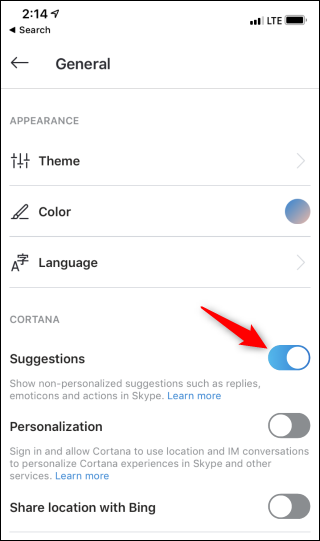 You can always return to the Settings > General and re-enable Cortana’s suggestions if you’d like to use them in the future.